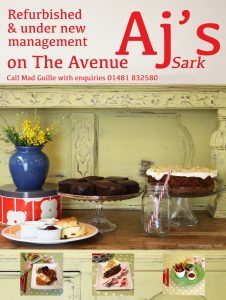 AJ’s Café is a small, friendly café located in the heart of the Avenue on the Channel Island of Sark. AJ’s is personally run by Mad Guille and her small team of friendly staff, and it is a popular rendezvous for local people and visitors alike. In addition to the tables inside, there is also a secluded, sunny garden area at the back of the café. The garden is filled with flowering plants and shrubs, and the delightful sound of birdsong. 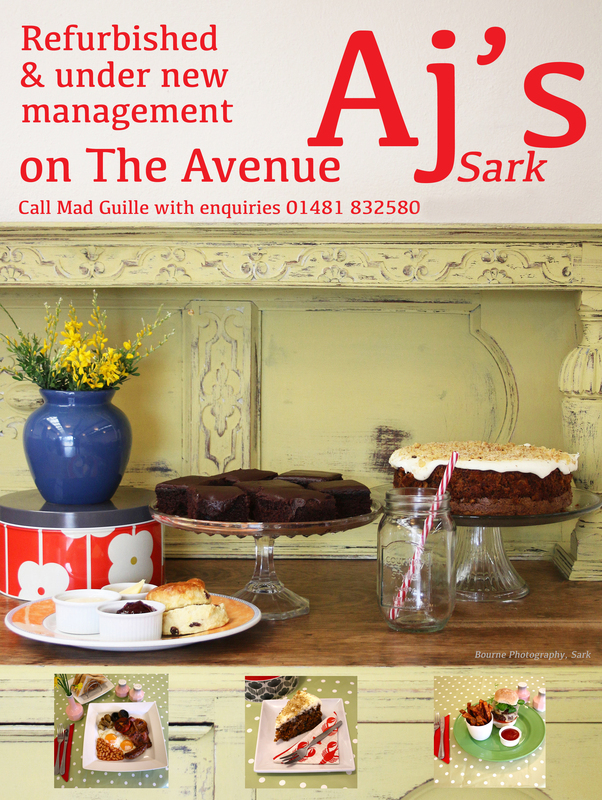 AJ’s is open daily for a selection of teas, coffees, chilled soft drinks, beers and wine, plus hot and cold lunches with a choice of homemade sandwiches, snacks, cakes, pastries and afternoon teas throughout the summer months. The café is also open for informal evening meals and takeaways on certain evenings. Open Daily 9am to Finish. Please telephone Sark 01481 832185 to reserve a table.